A deep sigh pushed through her mouth as Alma considered the word “hope.” She wasn’t sure there was any hope left for her marriage. Where had they gone wrong? Something in their union had died . . . or at least needed serious lifesaving intervention. At dinner Marco and Alma sat alone at the kitchen table in silence, eating something she pulled from the freezer and reheated. As their teenage kids poured energies into sports, social events, and music, it seemed that Marco’s vitality noticeably diminished. He wasn’t the “fun” parent anymore, no longer indulging in unpredictable and laugh-inducing antics. His behavior over the past year could be characterized as controlling, impatient, and angry. The moodier Marco became, the farther his actions pushed her away. Most days it was easier for Alma and the kids to leave him alone watching soccer games or las noticias—news—on the Spanish television channel. The man who once was her partner and playmate had now become the grumpy old man whom everyone avoided. DARE TO RESPECT, Chapter 3 “Alma,” p 21. So, how would you describe YOUR husband? Would you use positive, glowing adjectives? Or would your words be laced with sarcasm and ridicule? Last week Rey and I had an argument… to be truthful, we’d argued every Thursday evening for 3 weeks in a row. What was triggering us on Thursdays? We’d been following a really healthy food plan that involves food rotations – Monday and Tuesdays are focused on carbs and fruit. Wednesday and Thursdays limit us to green veggies and very lean proteins. Friday, Saturday and Sunday we are encouraged to incorporate fats into a balance of food groups. Wednesdays and Thursdays are the hardest for me – a carb and fruit lover… so by Thursday evenings I was typically irritable – thus the arguments! But what does this have to do with descriptions of our husbands? But, what does GOD want? God wants loving and healthy marriages that thrive. Satan wants to destroy marriage. So, what’s a wife to do? Obey God or follow destruction? I wanted to dig my heels into the ground. Instead, I honored my boundaries and spoke with love about them. I did something completely foreign to my nature. I spoke positively and lovingly and encouragingly (in a gentle voice – no sarcasm) when I expressed my needs and feelings. And then invited my hubby out to dinner (because it WAS Friday, and Momma didn’t want to cook!). I wasn’t a doormat. But I wasn’t domineering. I didn’t wait for a heartfelt apology or a declaration of undying love. I moved forward… and let him work it out with God on His timeframe. Left to my own desires, will, nature, I will always choose negative interactions when pressed (by hunger, stress, fatigue, busy-ness, boredom, etc.). The negative interactions chip away at our relationships, pushing both spouses into isolation and opposition. When I choose God’s path (no matter how much I WANT to go the other way), I choose to build our relationship. My challenge to you this week is to turn your negative into positive. You cannot change your husband (or anyone else for that matter), but your positive words and actions might have a positive influence. Then SHARE your experience with us in the comments! 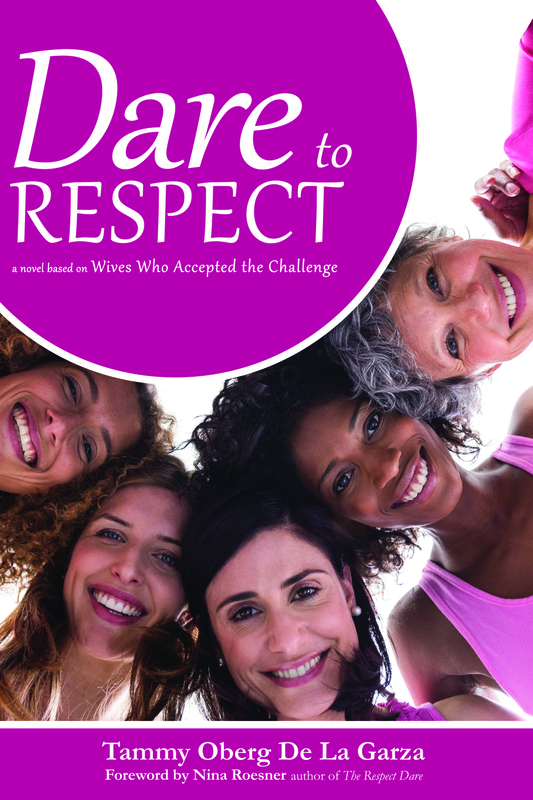 Head over to Nina Roesner’s blog and sign up to follow her journey through each of the 40 dares. The first dare began a few weeks ago, but there’s still time to join! Order your books today and make a choice that will improve the course of your married life – forever.